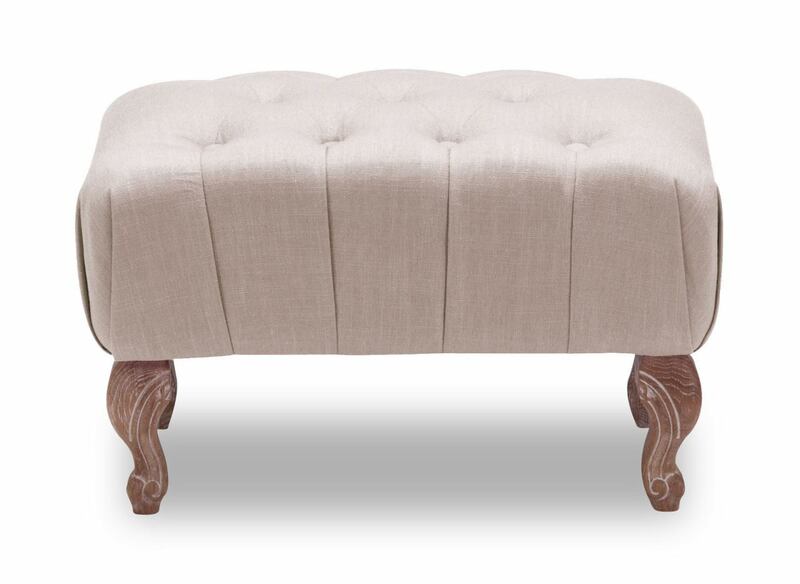 Overstuffed yet dignified, the Bellevue Stool is a fine home for feet. 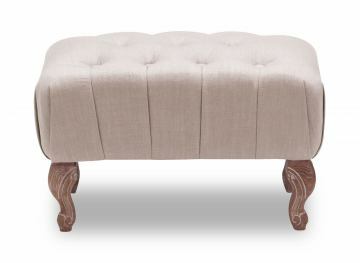 Classic wood carving supports a wrapped cushion. Comes in beige or gray.